Ammar Nakshawani, the grandson of the late Sayed Mortadha Nakshawani, representative and secretary of Grand Ayatollah Abul-Qassim Khoei in Najaf, was born in 1981 and migrated to England in 1987. He was awarded with a degree in psychology and law from University College London. Having completed a one year course in `Political Change in Modern Britain’ at LSE, Ammar completed his MA in 2005. 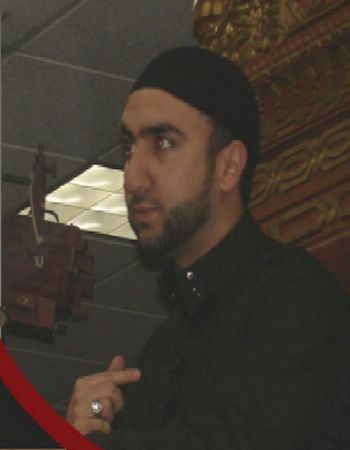 Ammar began lecturing at the age of 19. As well as having lectured around the United Kingdom, within the past 3 years he has spoken in Australia, Canada, the USA, throughout Europe, Dubai and across Africa in the holy months of Muharram and Ramadhan. 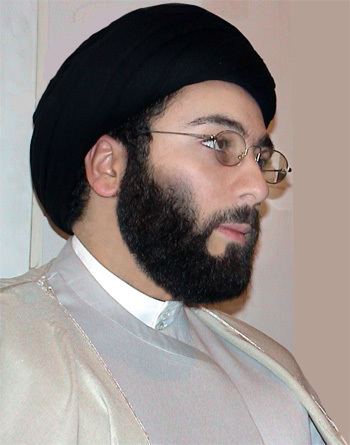 Sayed Mohammad Mahdi Al-Husseini Almodarresi was born in Kuwait in 1977. He comes from a scholarly family which includes supreme religious jurists (Marja’a) such as Ayatollah Sayyed Mohammad Taqi Almodarresi. His father is Ayatollah Sayyed Hadi Almodarresi, a prominent scholar, speaker, author, and ideologist in the Islamic world who has written over 200 books. His is a well known family that dominated the Hawza (Islamic seminaries) of Karbala, Iraq – his native city – for many years. Sayed Mahdi Almodarresi’s lineage goes back to the Prophet of Islam, Mohammad through his grandson Imam Al Hussain (A.S). Almodarresi has traveled to over 30 countries all over the world preaching the word of Allah and introducing thousands to the light of ahl-ul-bayt (PBUT). He has lectured across the globe from Detroit to Washington DC, New York, London, Damascus, Auckland, Sydney, Melbourne, Karbala, Baghdad, and many other cities in an effort to introduce the masses to the guidance of the Final Revelation. Hassanain Rajabali is the Principal of the Tawheed Institute of New York. He is a popular speaker locally, and has traveled worldwide to lecture on Islam. He is also a frequent lecturer on Islam at Columbia University, on behalf of the Muslim Students Association. He is a graduate from the University of Colorado, and presently, he owns and runs an Internet company called Netsite Corporation which specializes in E-Commerce and E-Business and is located in White Plains, NY. Hassanain came to settle in the U.S. in 1975, emigrating from Tanzania, East Africa. Sheikh Jehad Mohammed Wassef Ismail was born in Kuwait in 1964 to Lebanese Parents. He lived in Kuwait until He was 14 years old. In 1978, He migrated to Australia with his parents. He finished his High School and joint the University of Western, completed a BA degree in Interpreting and Translation in the mid. 80’s. He decided to go and pursue his religious education, and chose Al-Azhar university as his place of studies, having been born to Sunni parents. After graduating from the faculty of Da’wah and Usool. He came back home to Australia and began his Tabligh work. He was always interested in the School of Thought of Ahlul-al-Bait (A.S), mainly through the influence of his late father who had in fact met the late Ayatollah Sheikh Mohammad Hussein Aal-Kashef Al-Ghataa, who was the Grand Mar’je of the time. My father was a great advocate of unity between Sunni’s and Shia’s. After reading so much literature about the Shia School of Thought, He decided to convert. He then went to Qum, Iran to modify his religious studies according to the School of Ahlul-al-Bait (A.S). He is currently working as the Imam & Religious advisor of Nabi Akram mosque in Sydney. He has also held a number of government and non-government positions, the main one being an official government Interpreter/Translator in the Australian court system. Until recently He was the Head of the Arabic and Islamic Studies Department in Al-Zahra Islamic College, Sydney. He is also one of the official spokesperson on behalf of the Islamic community with the Australian government & media.